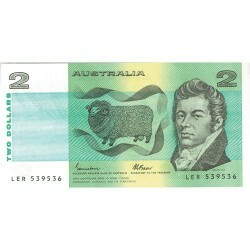 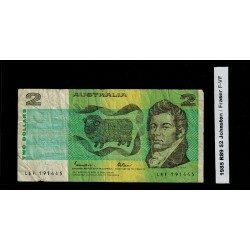 $2 Australian Decimal Banknotes There are 9 products. 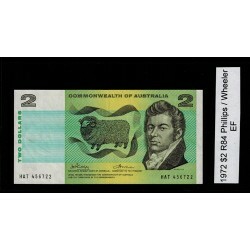 1985 $2 R89 Johnson/Fraser General Prefix Uncirculated Australian Banknote. 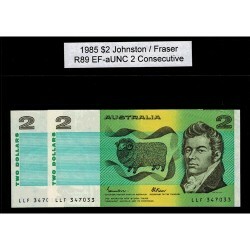 1985 $2 R89 Johnston / Fraser General Prefix 2 Consecutive EF-aUNC Paper Australian Banknotes. 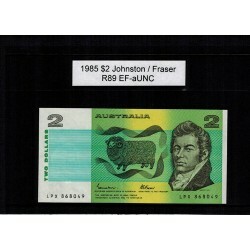 1985 $2 R89 Johnston / Fraser General Prefix EF-aUNC Paper Australian Banknotes. 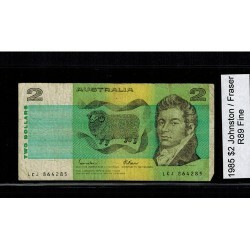 1985 $2 R89 Johnston / Fraser General Prefix Fine Paper Australian Banknotes. 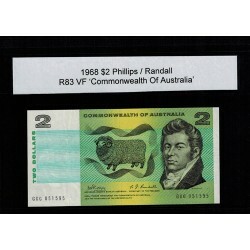 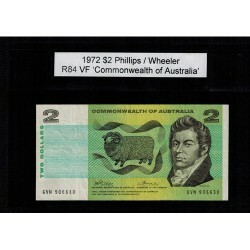 1985 $2 R89 Johnston / Fraser General Prefix F-VF Paper Australian Banknote. 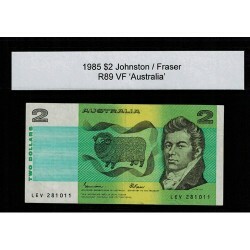 1985 $2 R89 Johnston / Fraser General Prefix VF Paper Australian Banknote.